For most of my 20s, my husband assumed he had allergies. He woke up almost every morning with a stuffy nose and mucus running down the back of my throat, and no amount of allergy medication seemed to make a difference. Eventually, he was referred to an ENT for a closer look. As it turns out, he didn't have allergies. What he actually had is a particular type of acid reflux with symptoms almost identical to allergies. After experimenting with some dietary supplements and making a few lifestyle changes, his symptoms have almost completely disappeared. Of course, we're not doctors, and aren't providing medical advice, just our own stories. Always see a physician to get the right medical advice for your needs. But if you have stubborn allergies that never seem to get better, read ahead to see how we learned that these symptoms were actually acid reflux - and how we paid for treatment with our HSA. There are multiple types of acid reflux, with the most common symptoms being heartburn, acid in the back of your throat, stomach pain and bloating. But one type of acid reflux, known as silent reflux or Laryngopharyngeal reflux (LPR), has a much different - and often confusing - set of symptoms. These include post-nasal drip, excess mucus and a sore throat. If that sounds a lot like seasonal allergies or hay fever, you'll understand why so many people misdiagnose themselves. One key difference between allergies and acid reflux is that the latter won't cause sneezing, itchy eyes or a runny nose. If you're experiencing symptoms and aren't sure whether you have allergies or LPR, make an appointment with your primary care doctor to get an accurate diagnosis. You can use your HSA funds to pay for a doctor's appointment and any tests they may order. Some doctors may order an endoscopy to determine the amount of esophageal damage that's been done. Others may refer you to a gastroenterologist. Much of the time, silent reflux can be alleviated by avoiding food right before bed, limiting alcohol and chocolate, sleeping with an elevated torso and eating smaller meals. You can buy a wedge pillow to prop your head up at night. Having your head higher than your throat will prevent acid from backing up into your throat. Unfortunately, those strategies aren't always enough. A doctor may suggest taking an antacid after eating to prevent any problems. Your HSA provider will only cover over-the-counter medications if a doctor writes a prescription for them. If your doctor tells you to take an antacid without writing a script for it, you can't pay for it with an HSA. But if you get a prescription for anything your doctor recommends and keep a copy for your HSA records. If antacids aren't strong enough, a physician may prescribe a proton pump inhibitor (PPI) such as Prilosec. 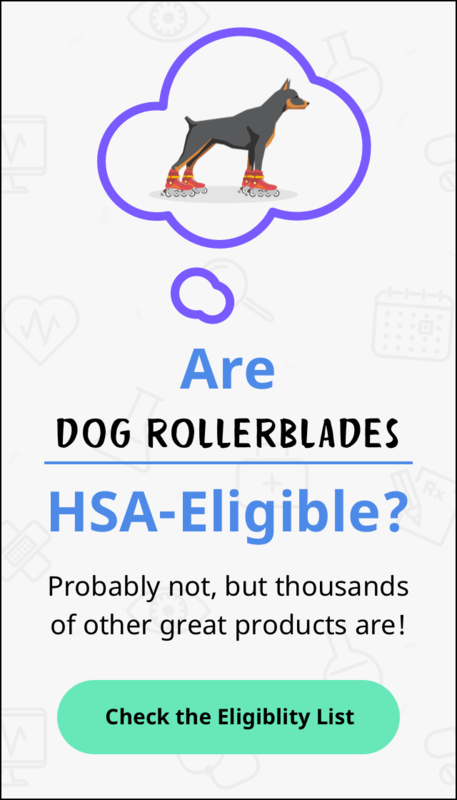 Your HSA may be used for any prescription medication your doctor orders. Patients who develop serious symptoms but aren't able to take medication may benefit from surgery to strengthen the esophagus and prevent more damage from occurring. This only happens in rare cases if medication and lifestyle changes don't fix the LPR. Whether you're spending steadily or saving for something big, Wage Up! is where we highlight the latest services available to buy with your HSA, every Monday on the HSA Learning Center. And for everything else about your health and financial wellness, be sure to follow us on Facebook and Twitter. HSA Headlines - 1/18/19 - What will the Health Savings Act of 2019 do for HSA users?